The importance of senior secondary school physical education (PE) is underscored by the assessment of learning outcomes being linked to future access to higher education, employment and further training. Yet within the broad spectrum of PE studies, the investigation of senior secondary school PE has been limited. This article serves the purpose of exploring the key concepts and themes from senior secondary PE syllabi across Australian states and territories. The Leximancer text-mining software was applied as an innovative tool for the exploratory conceptual and thematic analyses within the Curriculum Analysis of Senior Education in Physical Education (CASE-PE) study. A number of similar themes emerged within the CASE-PE study from across the state and territory senior physical education syllabi, including skills, physical, learning, assessment, study, use, performance and training. A number of themes were unique to each state and territory and major concepts had differing levels of relevance. This article provides insights into an under-theorised and -explored part of the Australian curriculum and PE literature. We conclude there is a need for greater uniformity in senior secondary PE curricula and its underpinnings in the future. ACT Board of Senior Secondary Studies (ACT BSS). (2016). ACT Senior Secondary Curriculum. Retrieved June 8, 2016 from: http://www.bsss.act.edu.au/curriculum/courses. Australian Curriculum, Assessment & Reporting Authority (ACARA). (2011). Why have an Australian curriculum? Retrieved November 28, 2016 from: http://www.acara.edu/verve/_resources/why_have_an_Australian_Curriculum.pdf. Australian Curriculum, Assessment & Reporting Authority (ACARA). (2014). Health and Physical Education Curriculum. Retrieved June 19, 2016, from: http://www.australiancurriculum.edu.au/health-and-physical-education/curriculum/f-10?layout=1. Australian Curriculum, Assessment & Reporting Authority (ACARA). (2016). Health and Physical Education Curriculum. Retrieved November 12, 2016 from: http://www.australiancurriculum.edu.au/health-and-physical-education/structure. Australian Institute for Training and School Leadership. (2011). National Professional Standards for Teachers. Retrieved March 25, 2011, from: http://www.aitsl.edu.au/verve/_resources/AITSL_National_Professional_Standards_for_Teachers.pdf. Crawford, D. (2009). The future of sport in Australia. Retrieved 29 November, 2016 from: http://apo.org.au/resource/future-sport-australia. Hyndman, B. P., & Pill, S. (2016). 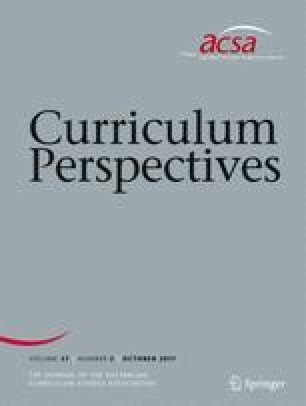 The Influences on Teaching Perspectives of Australian Physical Education Teacher Education Students: The First-Year Influences on Teaching Perspectives Exploratory (FIT-PE) Study. Australian Journal of Teacher Education, 41(5). doi: 10.14221/ajte.2016v41n5.7. Hyndman, B., & Pill, S. (2017). What’s in a concept? A Leximancer text mining analysis of physical literacy across the international literature. European Physical Education Review. doi: 10.1177/1356336X17690312. Northern Territory Government. (2016). Senior Physical Education curriculum. Retrieved May 26, from: https://nt.gov.au/learning/primary-and-secondary-students/nt-school-curriculum/senior-years-curriculum. NSW Educational Standards Authority (NESA). (2016). Personal Development, Health and Physical Education. Retrieved June 1, 2016 from: http://www.boardofstudies.nsw.edu.au/syllabus_hsc/pdhpe.html. Pill, S., Harvey, S., & Hyndman, B. (2017). Novel research approaches to gauge global teacher familiarity with game-based teaching in physical education: an exploratory# Twitter analysis. Asia-Pacific Journal of Health, Sport and Physical Education, 8(2). doi: 10.1080/18377122.2017.1315953. Queensland Curriculum and Assessment Authority. (2016). Queensland Senior Secondary Physical Education syllabus. Retrieved June 10, 2016 from: https://www.qcaa.qld.edu.au/senior/subjects/hpe/physical-education-2010. South Australian Certificate of Education (SACE). (2016). South Australian Certificate of Education: Physical Education syllabus. Retrieved June 12, from: https://www.sace.sa.edu.au/web/physical-education. Tasmanian Assessment, Standards and Certification (TASC). (2016). Senior Secondary. Retrieved June 18, from: http://www.tqa.tas.gov.au/2191. Teacher Education Ministerial Advisory Group (TEMAG). (2015). Action Now: Classroom Ready. Teachers. Retrieved May 23rd, 2016 from: https://docs.education.gov.au/system/files/doc/other/150212_ag_response_-_final.pdf. Victorian Curriculum and Assessment Authority (VCAA). (2016). Victorian Certificate of Education (VCE) Physical Education. Retrieved June 17, from: http://www.vcaa.vic.edu.au/Pages/vce/studies/physicaledu/phyeduindex.aspx. Western Australia Certificate of Education (WACE). (2016). Western Australian Certificate of Education (Physical Education). Retrieved June 17, 2016 from: http://senior-secondary.scsa.wa.edu.au/syllabus-and-support-materials/health-and-physical-education.